You talkin to me? You TALKIN TO ME? I feel pretty ... Oh so pretty! And I was like, no, come at ME bro! Dayyyyyyyumn whos dat fine lookin fella? Objects in mirror are right there. i'm good enough, i'm smart enough.. and gosh darnit - people like me! 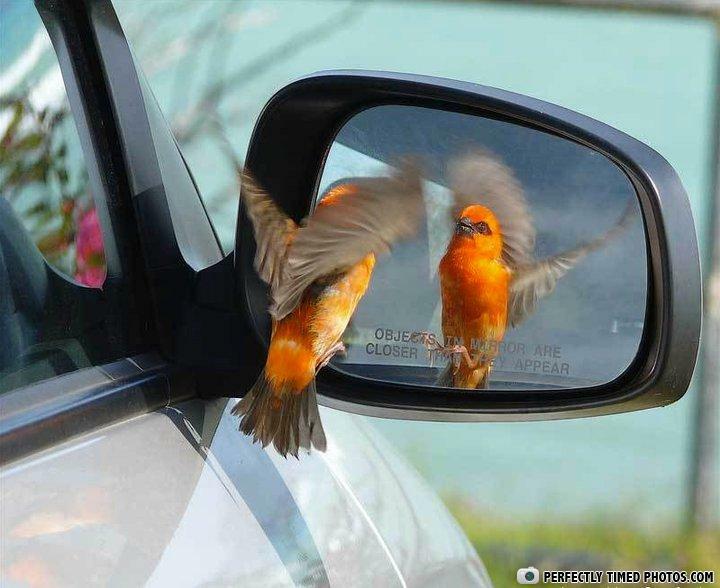 Objects in mirror are clos...OW!! MY FRIGGIN BEAK!!! "I always thought I was green"
Hey, you order a Shock Top?? ?